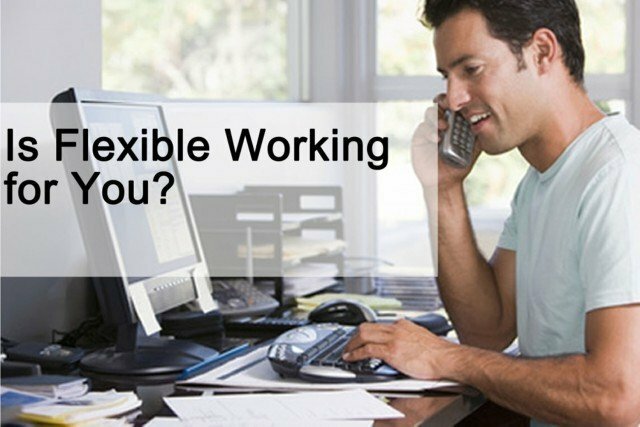 Is Flexible Working for You? We live in a flexible world. One in which social media and emerging technology has made connectivity and keeping in touch faster and easier than ever before… and also enables different, more flexible, working patterns and arrangements. Is this progress helping or hindering our everyday work / life balance though? And how do you decide if a more flexible style of working is for you? As social media and technology have made working from home, or working remotely, both more practical and a realistic option for employers to consider, the lines of work and personal life have become, perhaps inevitably, blurred. The pros of working flexibly may seem appealing initially (more freedom, no commute), but many contacts of mine are starting to see the down sides; being “always on tap”, missing the peer group / colleague interactions which a “normal” place-of-work offers; those moments by the water cooler where you can often have a two minute catch up with a colleague. Those things disappear with the increased flexibility of working remotely; Skype just isn’t the same. So it’s a balancing act then, between your career aspirations, your employer’s leadership style and their willingness to trust you working from home. Your aspirations for both your family and your future will need to be factored in too. My own view is that we’ve easily adjusted to the new way of doing things; from the mobile status updates, to calls from bosses outside of contracted working hours. Whether you participate or not is a judgement call that you have to make. Does a flexible work/life balance lead to us being happier though? Do you work to live, or live to work? Balance your commitments & work availability accordingly to match your answer! Carefully map out and consider the pros and cons of your current situation, and any proposed flexi working – is it a good work/life balance? Can you keep your personal and business social media interactions separate? You know it makes sense! How do you ensure that family / partner time is allocated fairly if you’re working from a home office situation? Have you the self-discipline and necessary flexibility to ensure that any new working arrangements (e.g. from home) will work for you as an individual. Ensure that any flexible arrangements are clearly defined, and that you have a full agreement drawn up, enabling you to revert back to full time if the arrangement doesn’t pan out. What is best for you and your circumstances can depend on the nature of your work, but obviously if you’re working remotely the ability to connect into your office systems is fundamental, as is the ability to make all of the technology do what you want it to do! I speak to so many people considering either flexible working, going it alone as part of a career change strategy, or even portfolio working. It can be very rewarding, but there are also many variables, so I suggest you do a full list of pros and cons, and be brutally honest with your answers if you are going to make sure flexible working is for you. Want to know more about career transition? Find out how to identify your top strengths, motivations and skills in my Career Change Interview with Devi Clark. If you like this article, please share it via the social media links below.